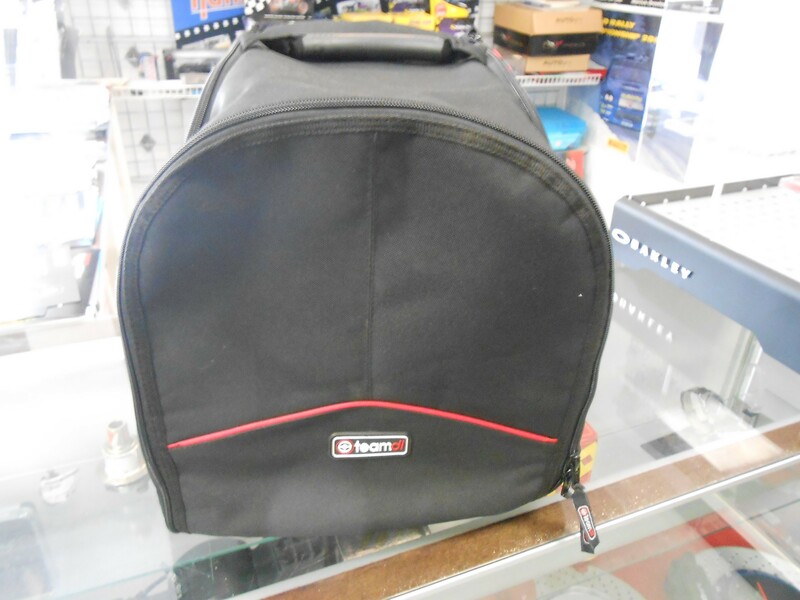 The TeamDI helmet bag has a water-resistant outer nylon shell with a soft padded nylon interior and sturdy zipper. It comes with a handy outer pocket. Free USPS ground shipping. 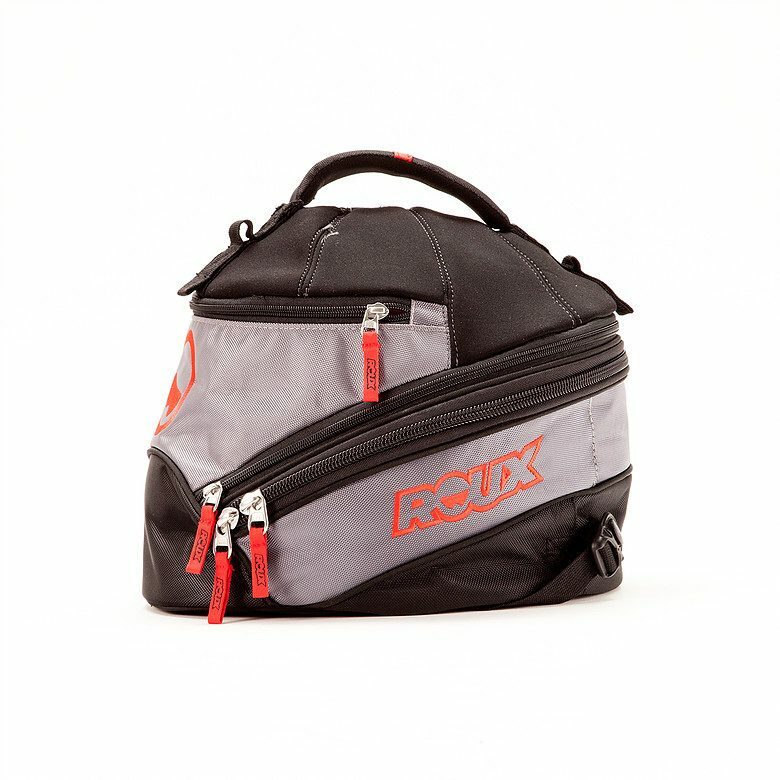 A stylish bag that will safely hold your helmet and Hans. Comes complete with a vent to hookup a fan and exhaust holes as well. 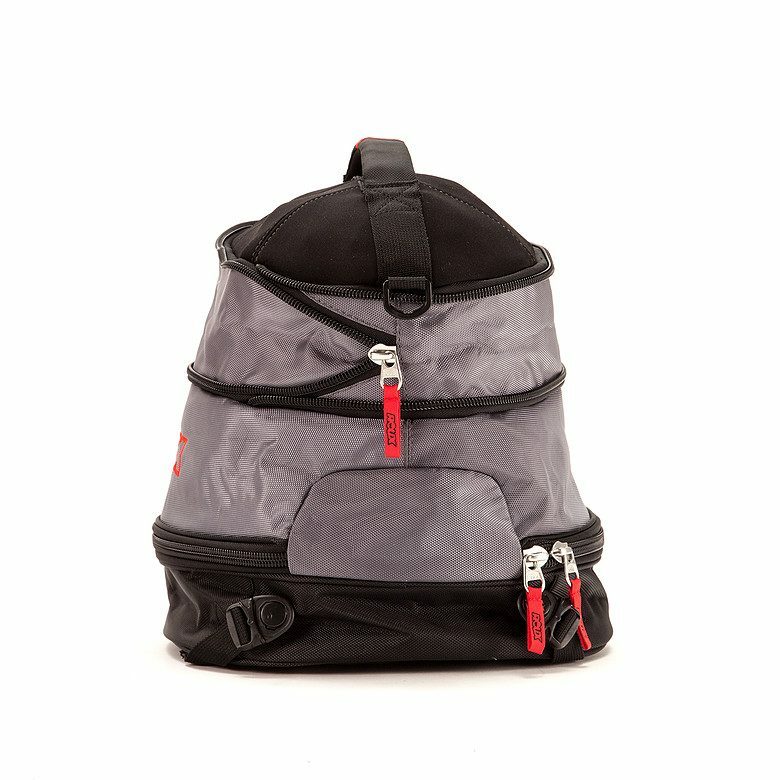 Includes a carrying strap. Free UPS ground shipping to 48 states. 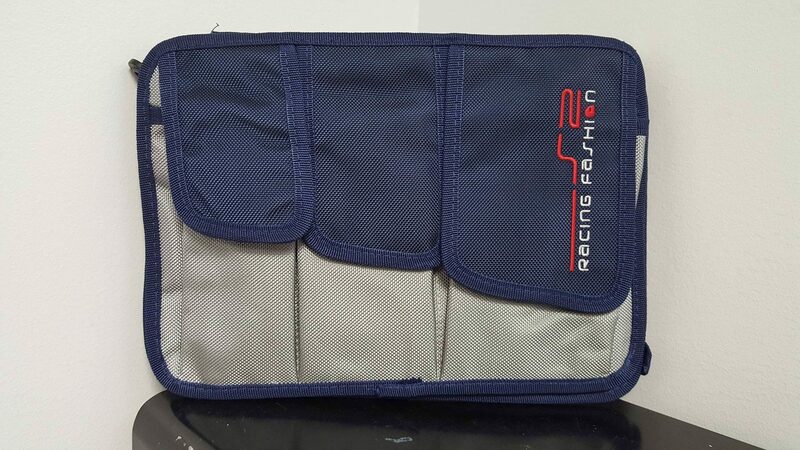 Racing inspired backpack for kids. Available in Shiny Red, Matte Red and Shiny Silver. 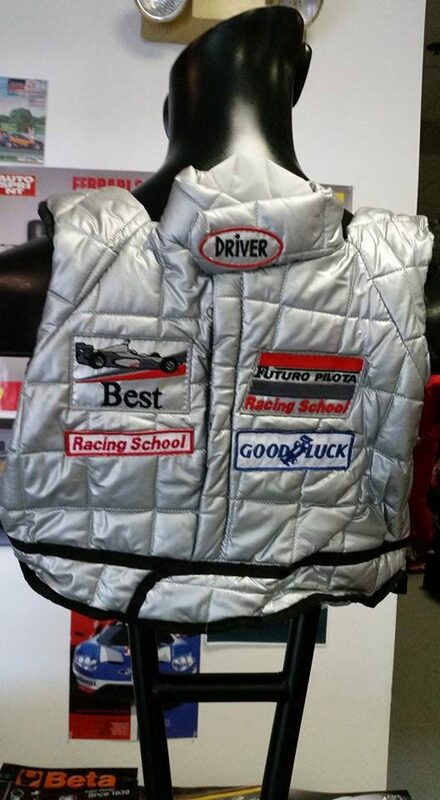 Perfect for back to school or as a gift for the child of a racing family. Made to fit overhead storage compartments on most airplanes. 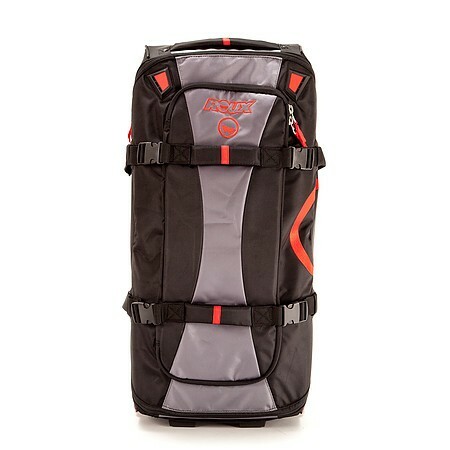 34″ long equipment bag with a total of 6 compartments. 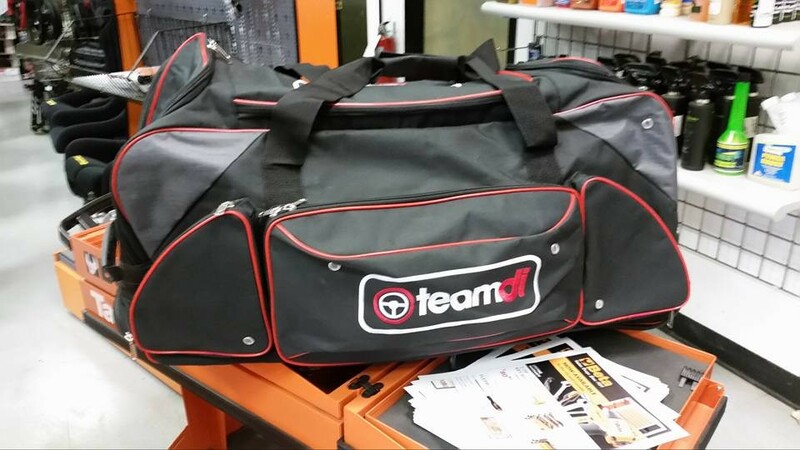 Holds your helmet, suit, gloves, shoes and Hans. Side compartment for dirty laundry. Complete with 3 handles and sliding handle for use as a trolley. 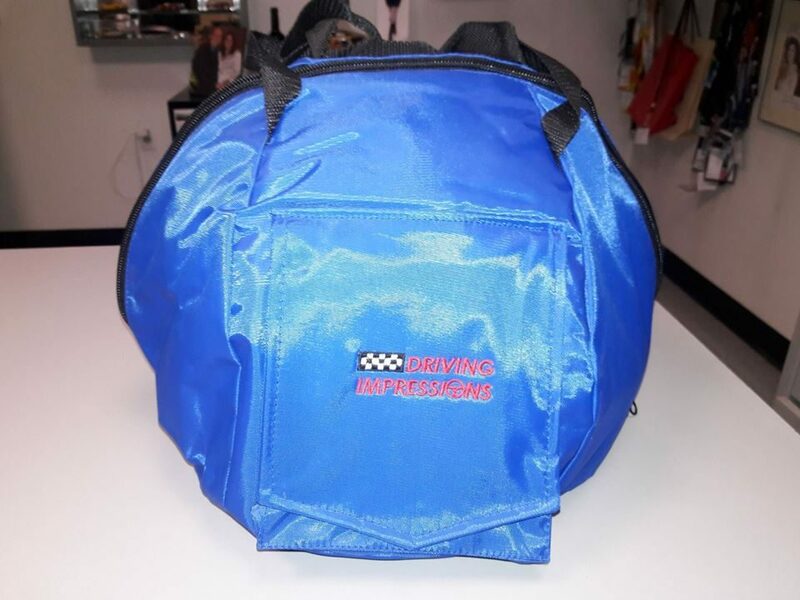 TEAMDI Helmet/Hans bag. 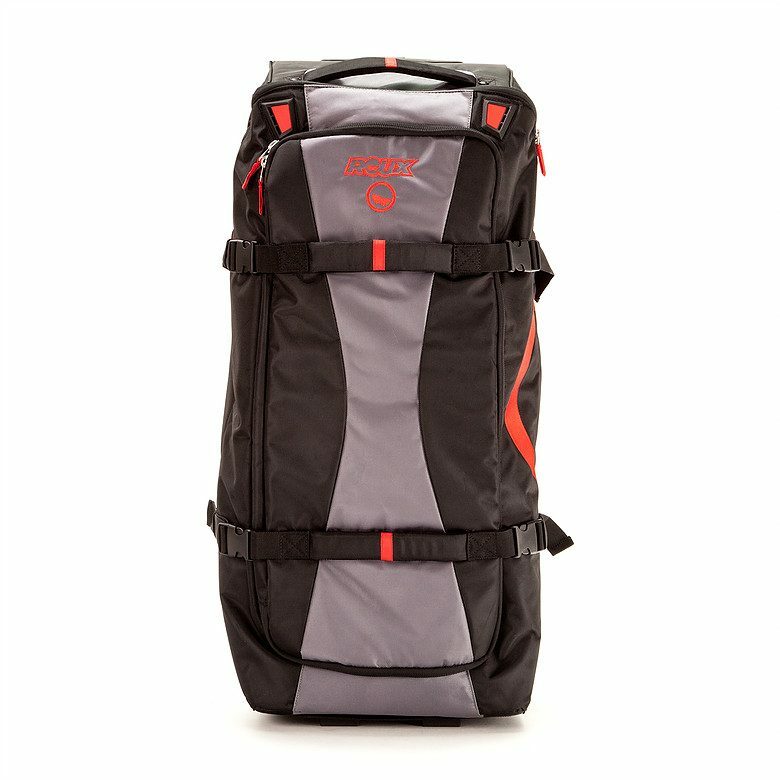 $49.95/$59.95 shipped. 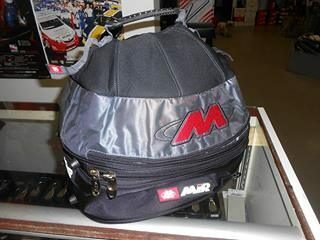 This bag allows you to safely carry your helmet and Hans in one bag. Not only is it padded but it has Hans shaped padding and a cover to separate the helmet from the Hans. 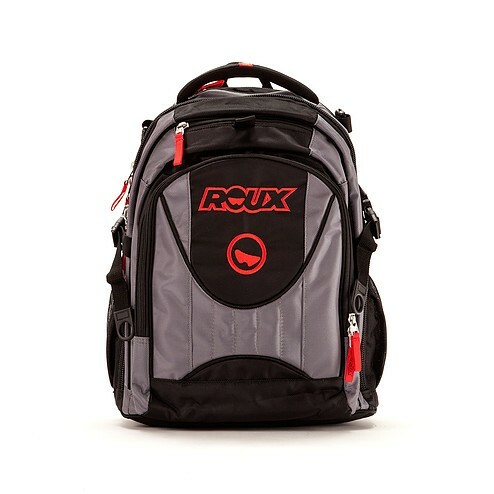 It comes with a sturdy handle and back pack straps. 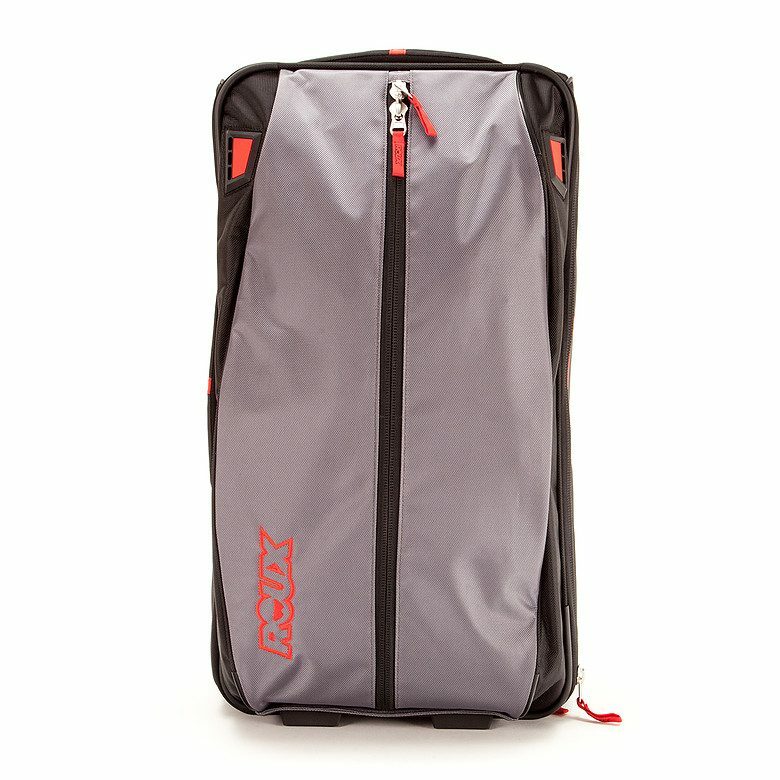 Stows easily in an overhead bin on a plane. Write to bob@teamdi.com for a quote on quantity needed. Include your logo as a jpg file.